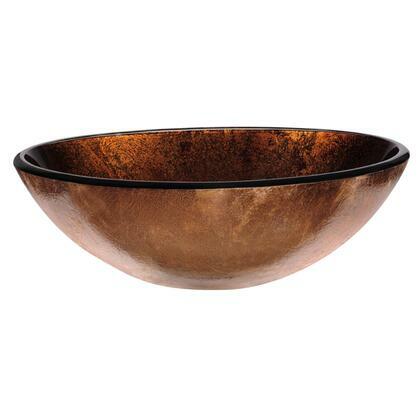 This VIGO glass vessel bowl is cUPC certified by IAPMO. Love this sink. It really is exactly what I had in mind. The color is gorgeous. We ordered 2 for a double vanity (upcycling a dresser) in our master bath. These are gorgeous! Love the coppery color. Both came with no flaws. Can't review on installation, as they won't be installed until mid-summer. The colors really come out with bright lighting on them. Very happy and can't wait to get them in. Ordered this sink online and it arrived in just 3 days. 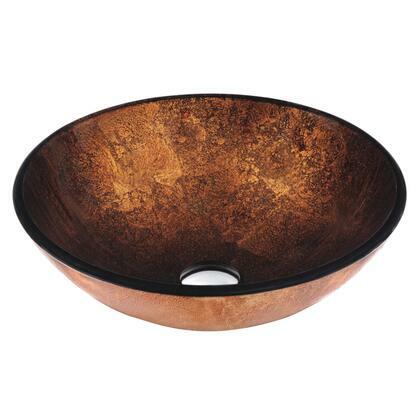 Colors were even more vibrant in person...brilliant red/brown, similar to a metallic copper sink. Can't wait to install it in our new bathroom! Very beautiful. Looks beautiful in our new bathroom. Bought this for a powderoom remodel. Absolutely gorgeous. Faucet is ALL metal and top quality. Love the looks of it and the sink. Pictures do not do them justice. Thrilled with your products. Thank you. I coupled this with a new Quartz countertop in my remodeled half bath. I constantly receive compliments. The faucet that came with it pairs beautifully. I love it!